Local patient volunteers are being sought by researchers investigating whether or not adding web-based coaching to the GP exercise referral scheme would lead to increased uptake and sustained health enhancing physical activity. 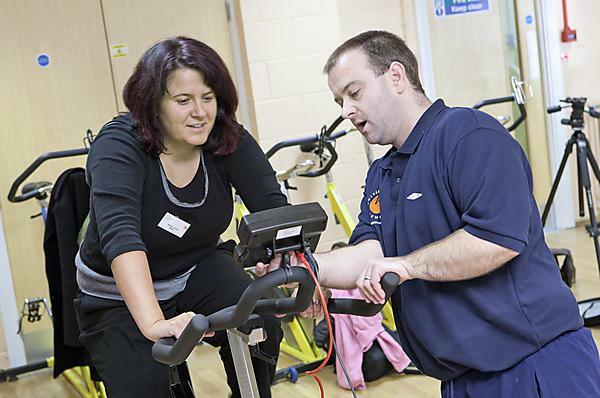 The exercise referral scheme is an established method whereby doctors can ‘prescribe’ exercise to patients with medical conditions such as obesity, hypertension, type 2 diabetes, osteoarthritis or a history of depression or low mood. Evidence suggests that such exercise is beneficial, both physically and mentally, but that rates of uptake and ongoing engagement by patients may not be optimal. The project, which lasts for 37 months with a window of 15 months for recruitment into the trial from this month, will also investigate the cost-effectiveness of using the web-based coaching system, called e-coachER. Patients with common physical and mental health conditions, and who are deemed suitable for the exercise referral scheme by a GP or practice nurse, will be recruited to the trial from South West England, Birmingham and Glasgow. Patients will either receive ERS on its own, or with additional access to e-coachER, a bespoke website designed to help patients to access available support from the exercise referral scheme and build their own motivation. The e-coachER group will also receive technical support to ensure access to the internet and boost motivation and confidence to use the technology. The primary objective will be for patients to achieve the public health target of 150 minutes of moderate to vigorous physical exercise every week by 12 months. The trial will investigate whether or not the addition of e-coachER results in more patients taking up exercise referral scheme and being physically active after 12 months. It will also seek to determine what the costs and long-term health benefits and NHS savings may be. GP surgeries in the trial recruitment sites have or will be receiving a leaflet from the research team outlining the project and the sort of patients they are hoping will take part in the study. If you would like to take part or want more information please visit the e-coachER website where there is an email address and phone number to contact.